But You, Adonai, are enthroned Forever ; Your renown will endure through all generations. You will arise and take pity on Zion, for the time has come to have mercy on her; the time determined has come. Adonai is King, robed in Majesty; Adonai is robed, girded with strength; The world is well established; it cannot be moved. Your Throne was established long ago; You have existed forever. Adonai, the deep is raising up, the deep is raising up it’s Voice, the deep is raising it’s crashing waves. More than the sound of rushing waters or the Mighty breakers of the sea, Adonai on High is Mighty. Your Instructions are very sure; holiness befits Your House, Adonai, for all time to come. Whose work is this? Who has brought it about? He Who called the generations from the beginning, “I, Adonai, Am the First; and I Am the same with those who are Last.” The coastlands have seen and became afraid. The ends of the earth have trembled. They have approached, and now they come. All of Deuteronomy chapters 32 and 33, are 1st and second coming prophesies! I say that with much trepidation, as I really don’t believe there exist a scripture in the entire Bible that isn’t. Yet I will put a few verses of these two chapters here, without specific identification so as to spur you to go and read these in their entirety yourself. They sacrificed to demons, non-gods, god’s that they had never known, new gods that had come up lately, which your ancestors had not feared. You ignore the Rock who Fathered you, you forget God, who gave you birth. They are a nation without common sense, utterly lacking in discernment. If they were wise they could figure it out and understand their destiny. After all, how can one chase a thousand and two put ten thousand to rout, unless their Rock sells them to their enemies, unless Adonai hands them over? For our enemies have no rock like our Rock – even they can see that! When he finished speaking all these words to all of Israel, he said to them, “Take to heart all the words of my testimony against you today, so that you can use them in charging your children to be careful to obey all the words of this Torah. For this is NOT a trivial matter for you; on the contrary, IT IS YOUR LIFE! Through it you will live long in the land you are crossing the Jordan to possess. (This was current to the times of Moses, but pointing to the future, the crossing over the Jordan representing crossing over from this life to our eternal Life with Him forever). Yeshurun, there is no one like God riding through the heavens to help you, riding on the clouds in His Majesty. The God of old is a dwelling-place, with everlasting arms beneath. He expelled the enemy before you and He said, “Destroy!” So Israel lives in security; the fountain of Jacob is alone in the land of grain and new wine, where skies drip with dew. Happy are you, Israel! 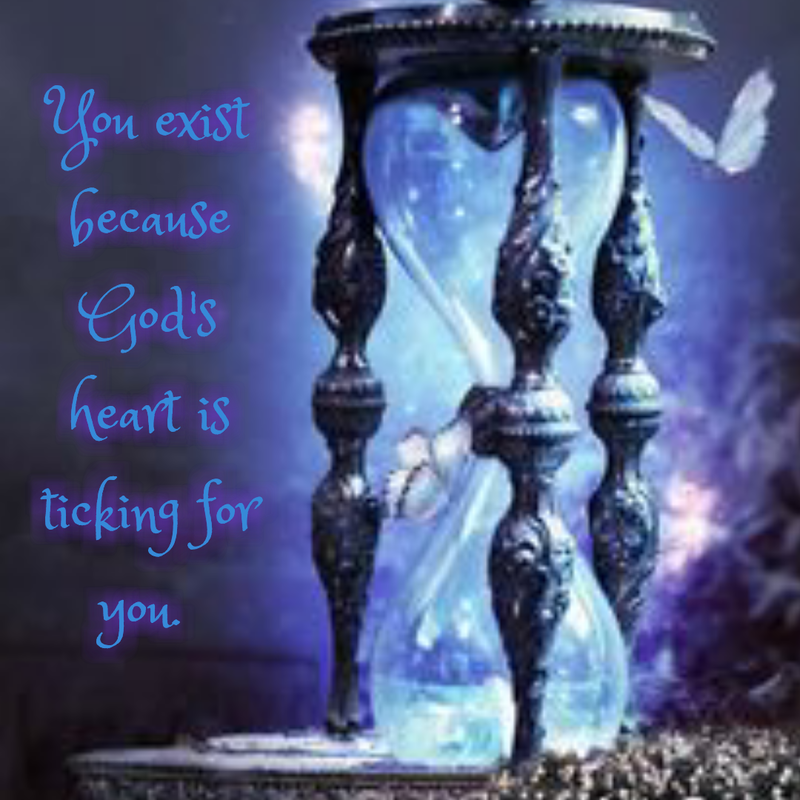 Who is like you, a people saved by Adonai, your Defender helping you and your Sword of Triumph? 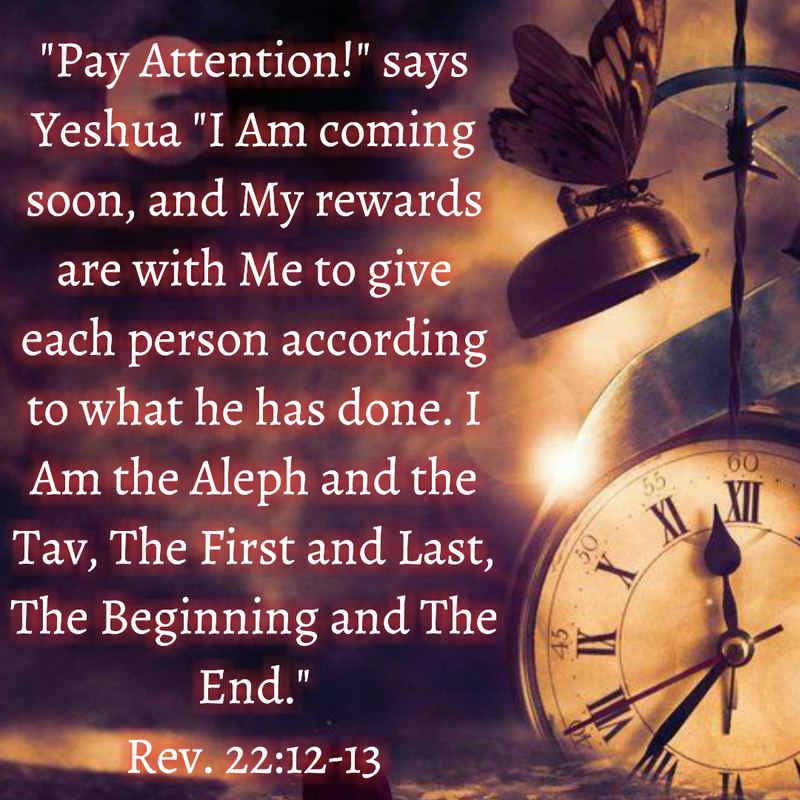 Your enemies will cringe before you, but you will trample down their high places.” (See again how these words apply to their present application but how they leap through Time to a future of fulfillment in Yeshua, 1st coming AND 2nd! Past, present and future !) This is why it’s so very crucial to study, read, apply, and know Adonai through all His Word! There are a total of 17 words in Hebrew that are God and attribute Time to His Nature, and His alone! ✡ ערי – ady – witness, till, until, a time, while, a repetition of time either definite or indefinite. ✡ שנה – shanah – corresponding time period for a different planet, a year representing one revolution of earth around the sun, two, a repeating of the first or what was before, repeat, do something a second time, in the sense of changing seasons, again, generation. ✡ עלם – ulam – My Name is ancient, hide – obscured from sight, covered, unknown, ancient – as time hidden from the present. ✡ חלד – kheled – this world, this life, age, a passing through space or time. ✡ עולם – olam – a distant time in the past or future, ever lasting, of old, perpetual, evermore, never, time, ancient, world, always, long. ✡ זמן – zaman – inevitable passing of events, measurement of quantity, time set aside, appoint, duration of time, 1st, Last, sleep, connected. Hopefully by now you can see, or rather perceive; that Time is not what we possess. That our days are numbered, before we came into physical reality here on earth, we were a true reality in Heaven. That we have been appointed for the specific time we are in, to stand out, speak, witness, repeat, point to, and live as if Time can count everything we think, say, do and stretch us out into eternity with what our witness says. Adonai is the Author of all things, He alone has seen every event long before they happened. Yet those who have gone before us, their lives are still speaking for Him or speaking for the destruction of His enemy. Either way our witness will shout out to eternity! This is why we don’t allow the stupid inclination of the enemy suggest we grow lazy, and resent Time. To see it as some small thing, not the miraculous gift we’ve been given; focused on what this world has to offer and growing ubtuse to the One who has destined our purpose to His glory! He deserves it! Insane thinking that says Life with Him will be boring compared to here and now in this, completely devoid of fulness, of all good things we have had but a small taste of here! So much better will things/Life be with Him should we choose Him! And not just choose to say we believe He exist, even the devils do that! No! We choose to pull everything, all thoughts, and therefore actions, all we are, all we desire into His instructions and Ways, that mark us NOW, as His! “Look, God is exalted in His Strength; who is a Teacher like Him? Who ever prescribed His course for Him? Who ever said, ‘What You are doing is wrong’? Remember, rather, to magnify His Work, of which many have sung. Everyone has seen it, but humans see it only from a distance. Look! God is Great! Beyond what we can know; the number of His years is uncountable. I’ve mentioned in this blog before that it would be best if when reading the Psalms, that in most cases when the Psalms speaks of enemies to remember the psalmist is usually referring to those powers, and principalities of the air, the one who is seeking to devour, the enemy of God and his minions. For we are not at war with flesh and blood! Even when we encounter other human beings that persecute us, these are under the power of God’s enemy, tortured souls, hence Yeshua’s instruction to LOVE our enemies, do GOOD to them! The power of Yeshua in our obedient action to do this, not religiously, but because He’s proven such power, such worthiness for us to give up “our rights” in exchange for the right to see Him face to face, really Live a real Life with Him, this is using our Time (talents) wisely. This is the power to save! We were all His enemy once. This is staying awake! Yes, indeed, it surly will mean suffering ridicule and coming soon, severe persecution to do so. The worst of the worst we may be spared, but not all of it dear fellow sheep! This kind of suffering is what shall mark us as His! Him, who came and suffered far more than anyone ever has since our ever will, Him who did this in vast measure, so we could identify in small measure with Him. Shall we count it an honor to whatever degree such things must happen? Knowing that He shall shield and guide us, be present with us, as He was with Daniel in the Lions den, Shadrach, Mishach, and Abednego in the fiery furnance. Shall we doubt Him now or ever – after so long a history of proving Himself true, right, and truly God? To be awake, is to be on Time! On Time each minute for each appointment He has for us each day, and on Time for THE DAY we shall meet Him in the cloud, changed instantly into the Glory of His likeness in full! 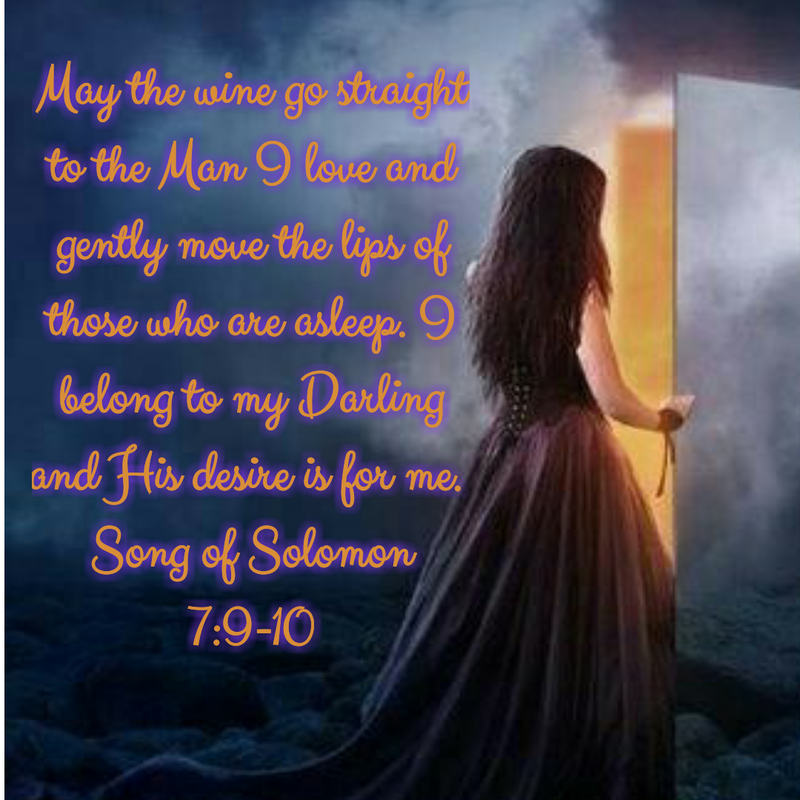 Awaken O Bride of The King of Israel, of Heaven and earth! Rise like the deep, rise up and become a mighty wave of the Image we are made in – Yeshua Hamashiach, Salvation is His Name! He comes! He comes again soon! Rise up to meet Him! In the days gone by, God spoke in many and varied ways to the fathers through the prophets. But now, in the acharit-hayamim (end of days), He has spoken to us through His Son, to whom He was given ownership of everything and through whom He created the universe. This Son, is the radiance of the Sh’khinah (Manifest glory of God present with men), the very expression of God’s essence (image), upholding all that exists by His powerful Word; and after He had, through Himself, made purification for sins, He sat down at the Right Hand of HaG’dulah BaM’romim (the Greatness on High). I, Yeshua, have sent My angel to give you this testimony for the Messianic Communities. I AM the Root and Offspring of David, the Bright Morning Star. The Spirit and the Bride say, “Come.” Let anyone who hears say, “Come!” And let anyone who is thirsty come – let anyone who wishes, take the water of Life free of charge.